Session 296. The southerly buster came through late in the afternoon and it was honking. I headed out from Beaumaris on my Lithium 9 and was lit up! 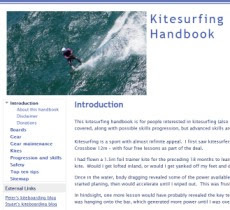 Could only just hold an edge with the kite high to depower and the getting pulled off my line. A couple of runs in 30+ knots was enough and I couldn't be bothered pumping up my Crossbow 7 so I watched the poleys (windsurfers) having fun. Tarren was going well on his Ozone 8m kite and getting some good boosts. 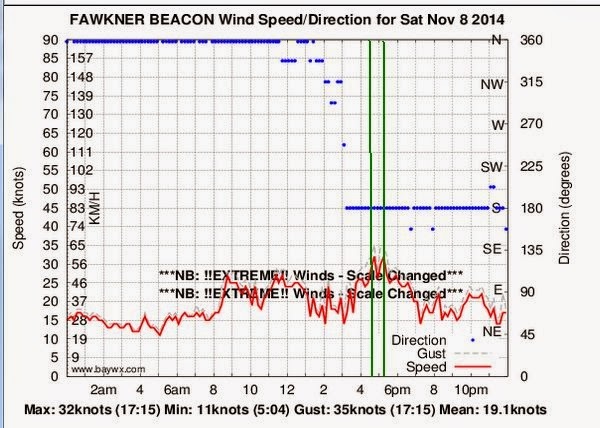 The wind backed off to around 20 knots after about 20 minutes. Frontal winds can make things difficult.